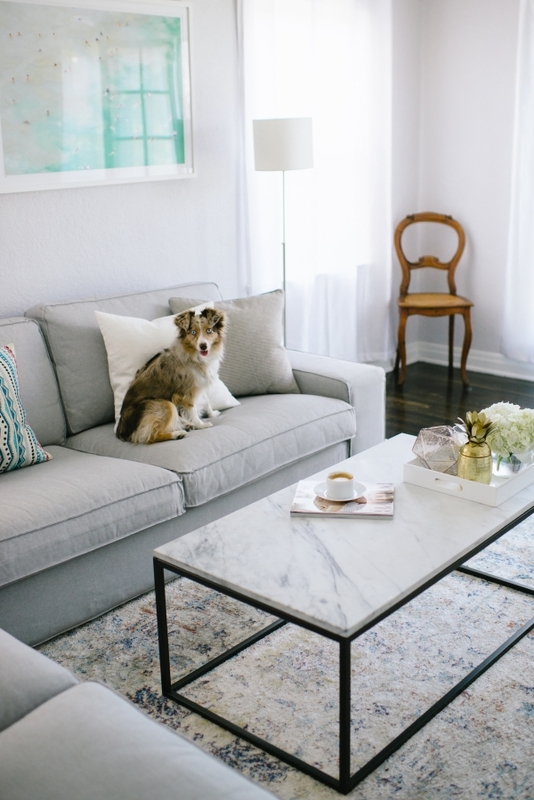 Excited to share my living room transformation with you today! As the Big Lebowski said, “That rug really tied the room together.” BINGO. 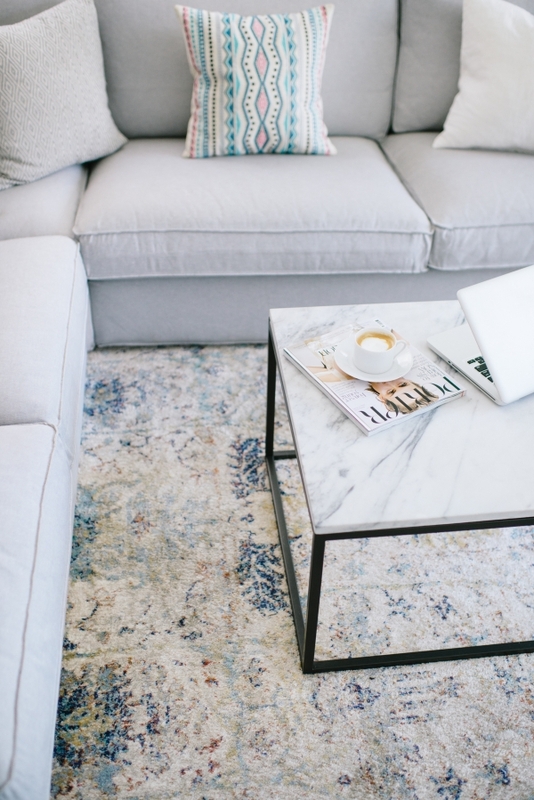 I recently discovered Loloi rugs and that is the newest addition that really tied my living space together. Picking out a rug really sets the tone for your whole room and it took me months to decide on one. Even at the last minute I changed my mind and I am SO happy I went with this one. 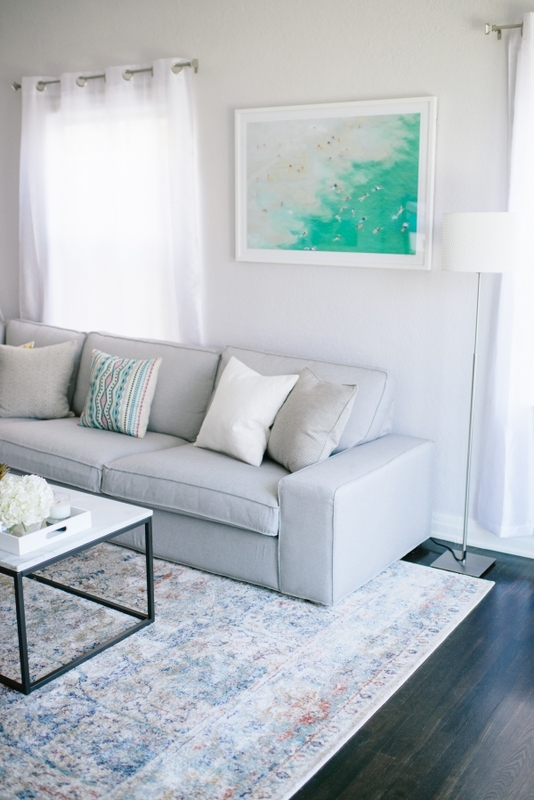 With my cool toned walls and couch, I wanted a rug that had other cool hues and light blues while still feeling neutral enough in my space. 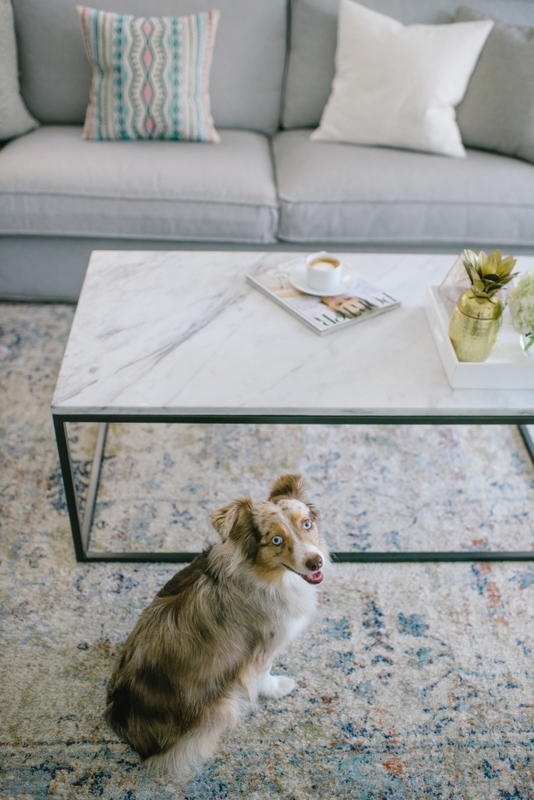 It matches perfectly with the cool tones in my marble coffee table. I was also looking for something soft and cozy to the touch. As you can see, Lola enjoys it too! SO happy to finally have a soft place to put my feet and feel like my living room is complete. 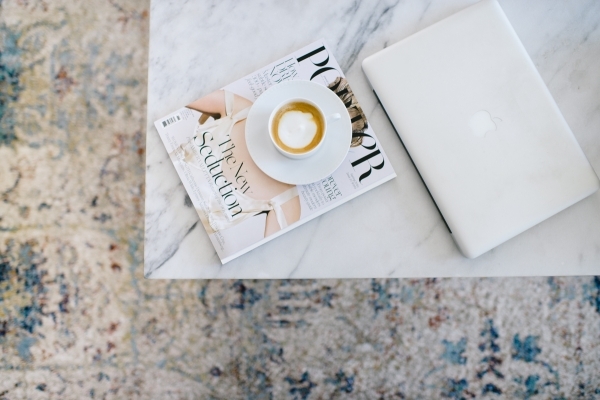 If you are swooning over my rug, you can purchase my rug here it’s the Anastasia (AF-07 Sand / Lt. Blue). 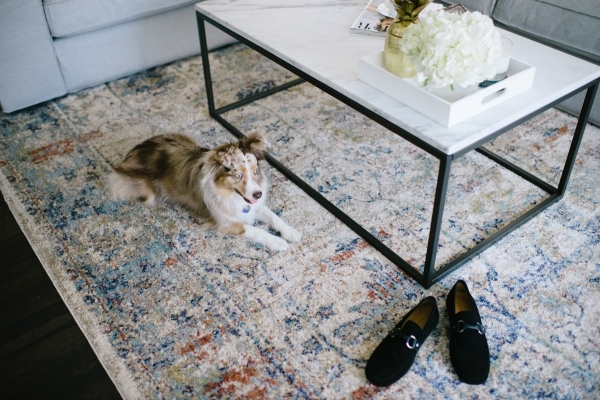 You can also purchase Loloi‘s rugs on sites like Rugs Direct as well as retailers around the nation. Shop some of my favorites below. 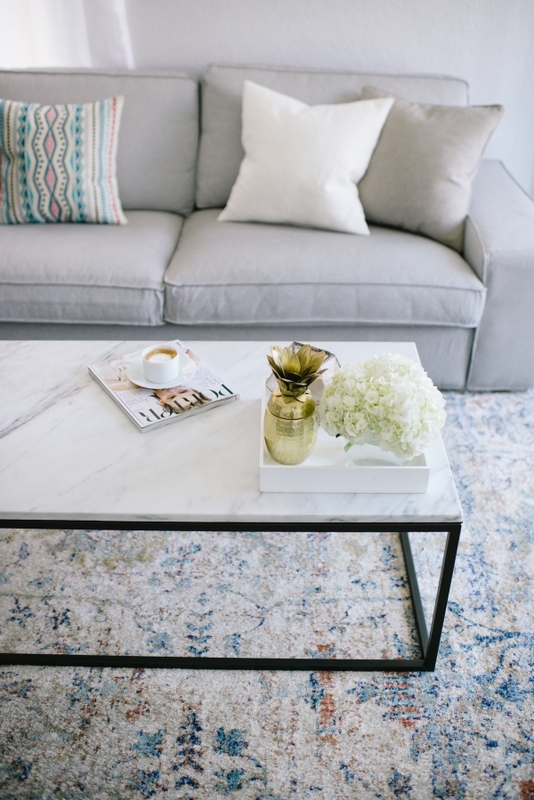 Arabella - Such a beautiful space, the rug is lovely and i’m so in love with your coffee table! Monika - Lovely table! Where is it from? 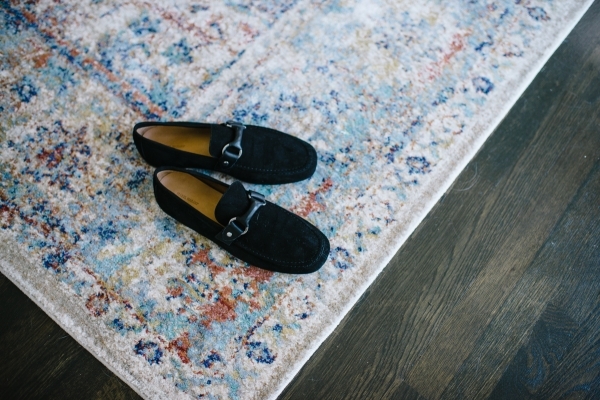 Nicola - Such a beautiful rug, perfect for your interior decor. Teresa - Love this look so so much. 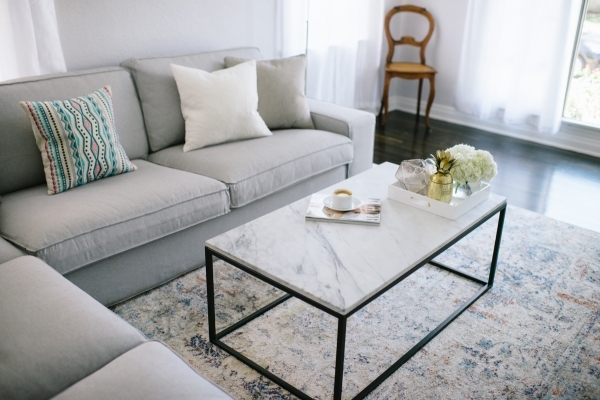 Adore your sofa color and style. Where did you find it? I’ve been looking for months for a light gray sofa and I’m not finding anything special. Lovey - Perfect decor inspiration!